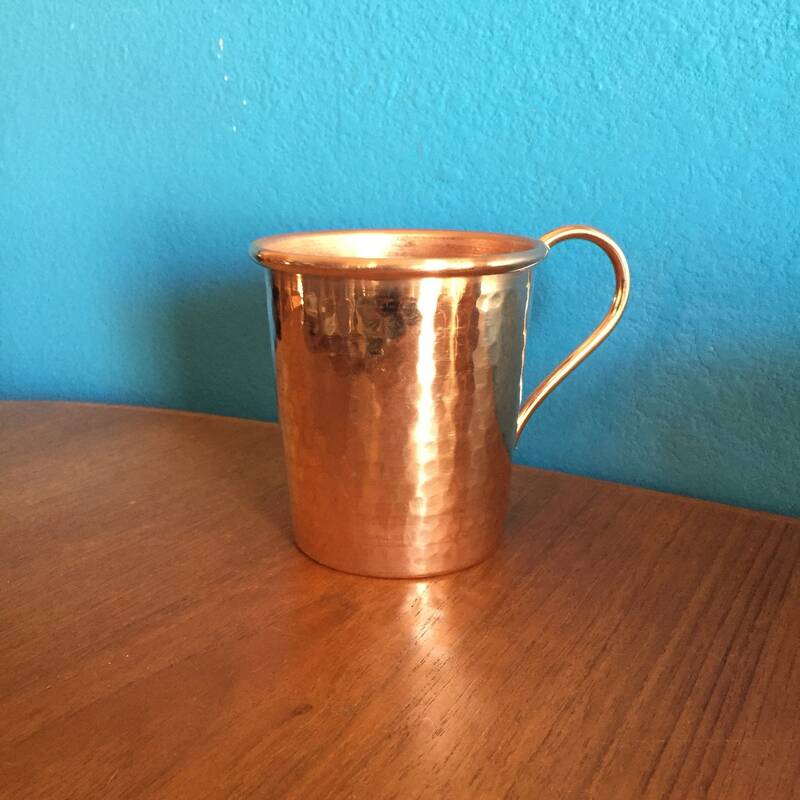 5oz Handcrafted Moscow Mule Pure Copper Hammered Tasting Mug. Made by hand and hammer. 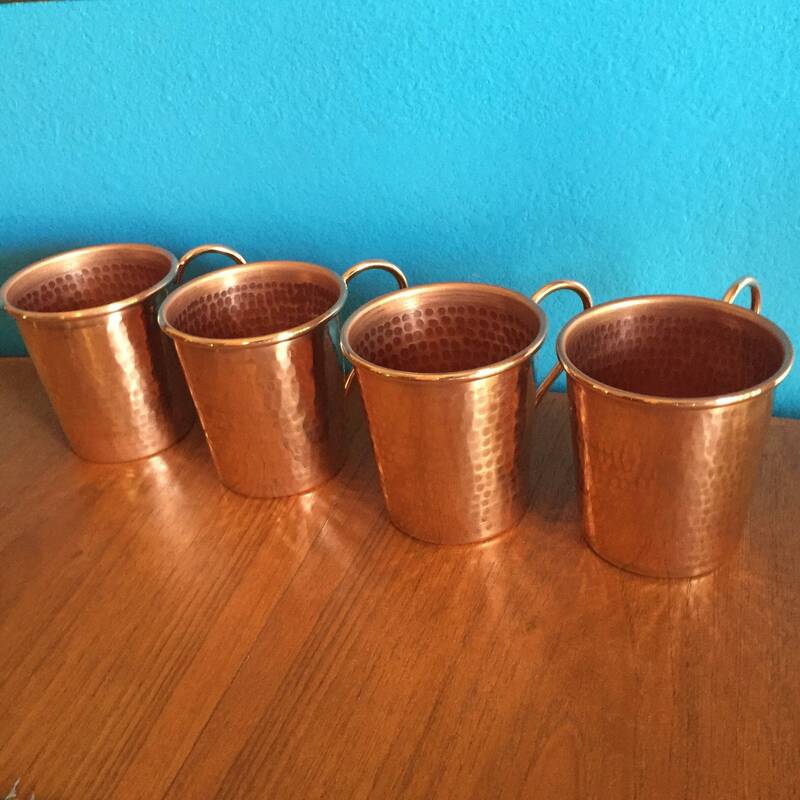 Pure 100% copper. 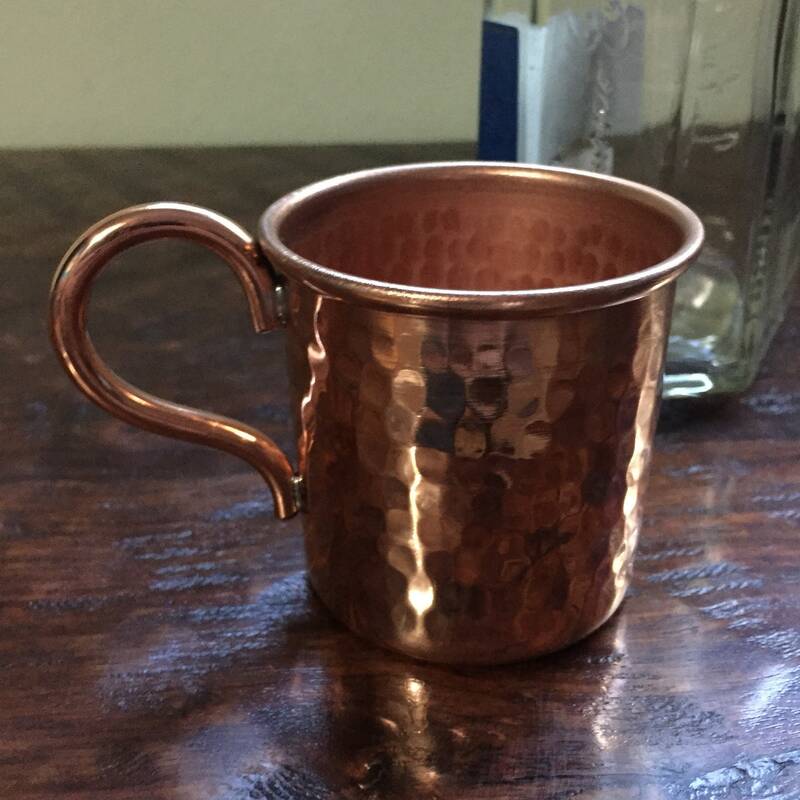 These tasting mugs are not lined with tin as you see on some other cheaper thinner models. 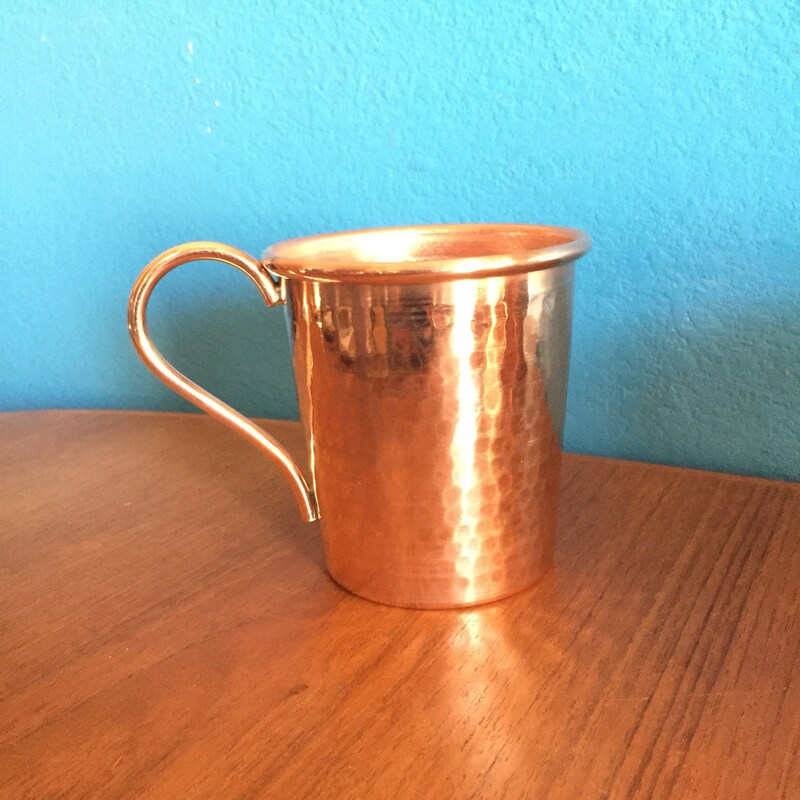 We use a thicker gauge copper, which gives it a nice sturdy feel in your hand. 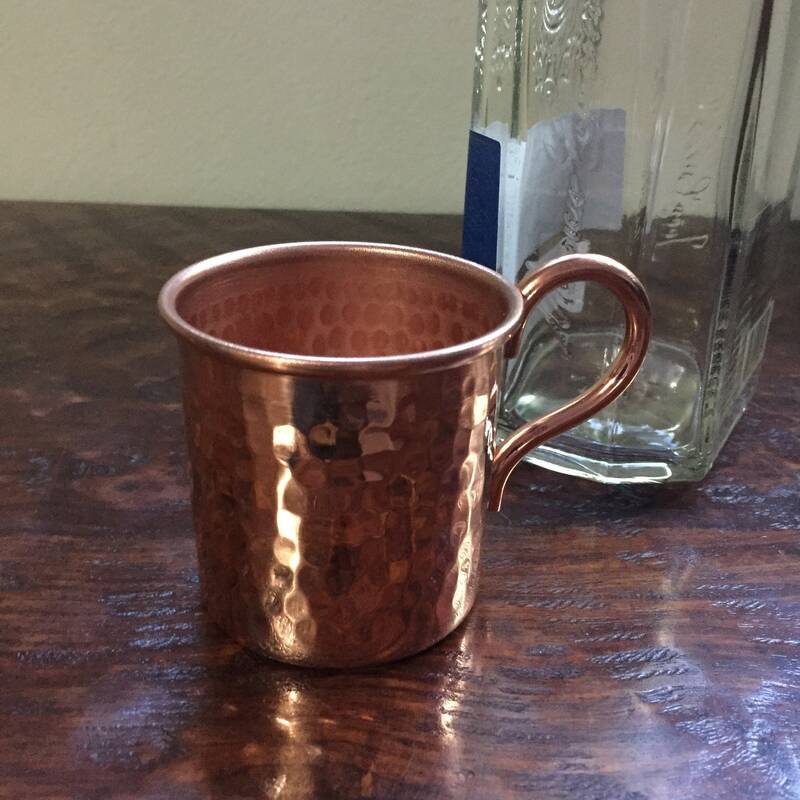 Perfect size for sipping your favorite spirit. We offer custom hand engraved logos, names, dates. Perfect for corporate or wedding gifts. We can also personalize these for the perfect 7-year anniversary gift. These are not for microwave use. For polishing, we recommend using a lime or lemon and sprinkle salt on it and rub onto your mug. Then rinse and hand dry. 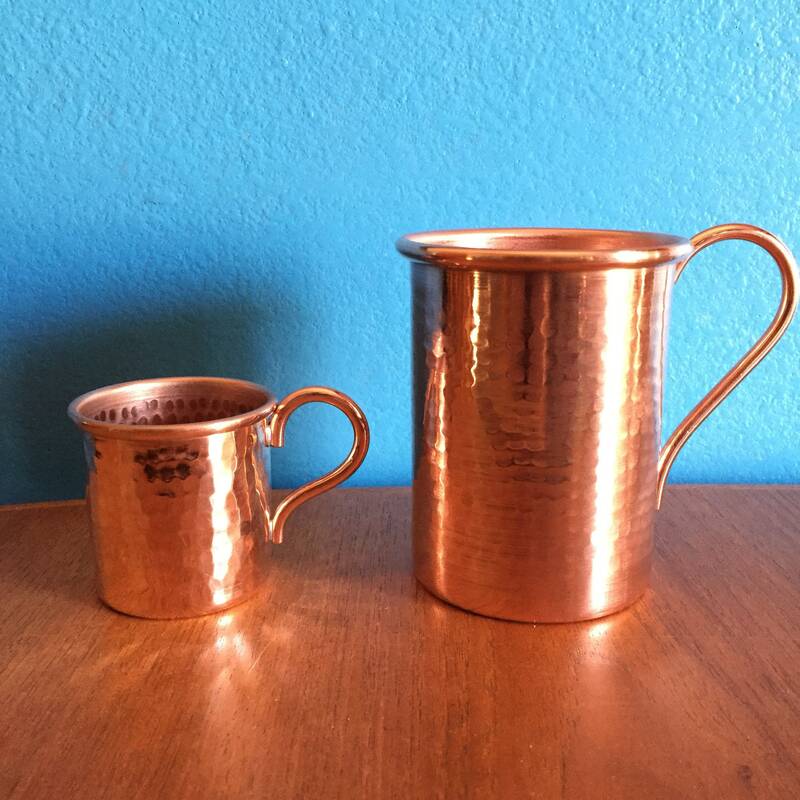 You can also use a vinegar and salt solution to polish your copper.